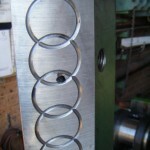 We have had an increasing number of our clients requesting John Heine spare parts (ball screws, connecting rods, bushes, clutch keys, clutch springs, clutch inserts, banjos, air valves, gibs, slides, crankshafts, brakes, feeding equipment spares,etc. 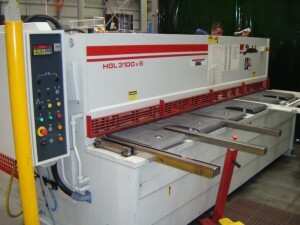 We hold a large inventory of spare parts for these John Heine presses, press brakes and guillotines. We also have a number of John Heine Presses for sale. 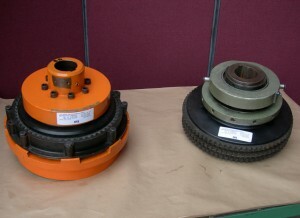 We have recently reconditioned 2 x Desch Clutches (Planox PMF143 & PP/PPF112 Series Pneumatic Clutches). 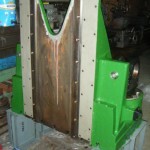 Included the removal of the clutches from the machinery, stripping and reconditioning at the Revro factory and assembly to the existing machinery. 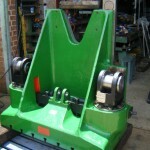 We sell, service and provide spare parts for a wide range of clutches for the metal working and mining industries. 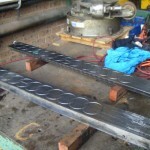 Slide/Ram Removal (Bliss Welded Products Press). 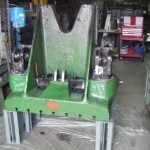 Our client required the replacement of synthetic wear strips and machining of steel gibs for their 140 Ton 2 Point Gear Eccentric Press, as guiding and alignment to slide / ram to bolster was excessive causing end product issues. Revro personnel removed the slide/ram using overhead crane and chain blocks. Removal of the old wear strips and replace with new synthetic wear strips which are oil filled (self lubricating) and can run at zero clearance. 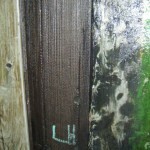 The slide was re-installed on site, clearances set between wear strips and gibs. 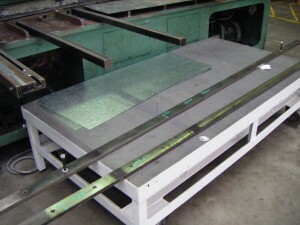 Parallelism slide to bed/bolster to within 0.002″ (0.05mm). Machine test run, all tested and machine put back into production.